What is ACE? Who are they? What do they do? 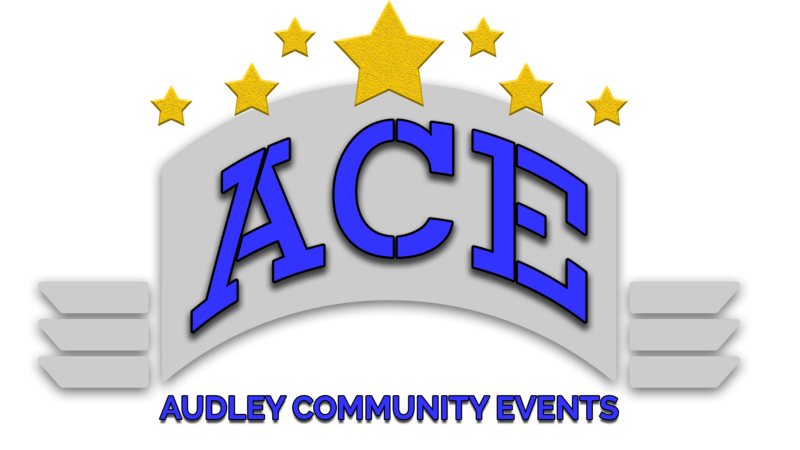 ACE is Audley Community Events and we are part of the family of Audley Community Centre. The Centre has allocated every Friday so that ACE can run various events, to keep the youth and the families with children entertained. Our events have also extended to older age ranges on various occasions. We hope ACE can help to enhance our community living, making our villages a better place to live. ACE is run by a few dedicated committee members from Audley Community Centre. We have many volunteers that have come forward to help us on an ad hoc basis when they are available. We are always welcoming new volunteers so that we can organise bigger events. Audley Community Centre have allocated a start-up fund for ACE. We have also obtained some funding from the Local Authority Partnership. This funding can only allow for small budget events. We are working very hard to come out with the most cost-effective ideas in order to stretch our funding as far as we can. This is not a profit-making venture; it is a form of giving back to community from the money raised by Audley Community Centre. We have currently dedicated an evening once a month to various events including Cinema, Sign Language, Video Game and Art (Photography/Astrophotography/Art). We may organise one off special events such as celebrating moon cake festival, yoga and meditation if we think of a great idea. We have unfortunately cancelled some of the events due to the lack of interest or attendance. We are constantly looking for new ideas for various events. Events are based on the funding and popularity. We always welcome suggestions of new ideas. We hope we have share who we are and our volunteering journey that we enjoy very much. We hope you would like to be part of us, no experience is needed but only your time. Please contact Winnie or Duncan if you are interested. From ACE/Audley Community Centre, wishing you all good health and enjoy living in this community.